The Swedish Foreign Minister Margot Wallström recently appointed ILAC´s Executive Director, Agneta Johansson as one of fifteen inspiring women comprising the Swedish Women´s Mediation Network in recognition of her work in peacebuilding and rule of law. I am very honoured to have been invited to contribute to the important work of the Women’s Mediation Network. 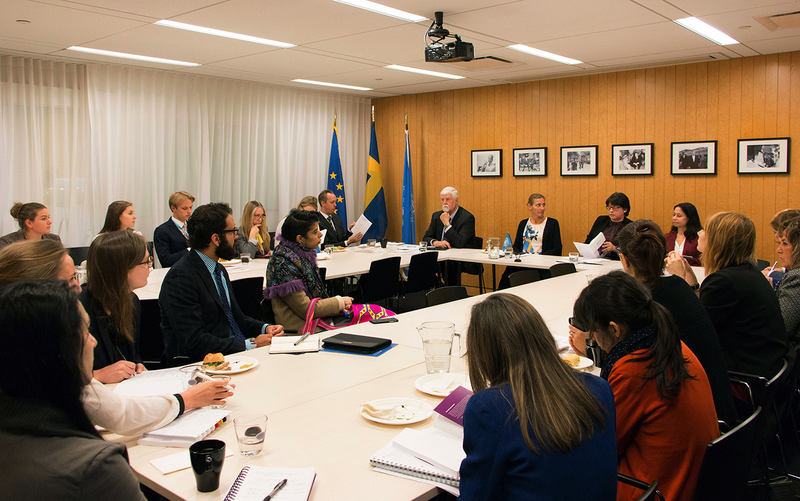 The rule of law is a key component of sustainable peace and must be considered when determining what to include at each step of peace negotiations, says Ms. Johansson. ILAC is delighted to welcome the The Siracusa Institute as a new member organisation. Based in Italy, The Siracusa Institute has been working to contribute to international peace and security through the effective implementation of criminal law and criminal justice, and to promote the rule of law and the protection of human rights in criminal justice systems worldwide. ILAC is delighted to announce Shane Quinn as our new Director of Programmes starting today. Shane brings to ILAC over 14 years’ experience in rule of law development, public sector governance reform and peacebuilding. He has worked in several international civil society organisations in Sweden and as a consultant in Eastern Europe and Africa. It is with great sadness that members of ILAC learn of the death of Professor Cherif Bassiouni, who died peacefully at home on 25 September 2017. Cherif Bassiouni played an influential role in a series of seminars in the late ‘90s that discussed the setting up of ILAC. He was at that time the immensely respected Professor of Law at the DePaul University College of Law. ILAC congratulates the International Criminal Court (ICC) for its nomination to receive the 2017 Stockholm Human Rights Award. The prize will recognize the ICC´s work advancing international justice and strengthening respect for human rights. ILAC is delighted to welcome Nina Lahoud to ILAC’s Board of Directors. A longtime supporter and ILAC member, Nina will bring over three decades of expertise from the peacekeeping and legal development world, involving numerous United Nations assignments in conflict-affected countries, to our management team. The 2017 ILAC’s Annual General Meeting in Tokyo, Japan, culminated with a public seminar on how rebuilding justice systems can assist developing countries in overcoming fragility and the effects of conflict. The speakers brought a wide range of experience on a very concrete question – what are the challenges and the opportunities presented by the current trend toward inclusion of rule of law and governance goals in contemporary development standards? One of the common challenges facing rule of law and development practitioners is the need to bridge theory and practice; to demonstrate how concrete context can and should shape the application and the development of international policy and standards, and how international policy and standards can and should have a transformative potential in concrete contexts. In approaching this challenge, it can sometimes be hard to beat a telling anecdote. 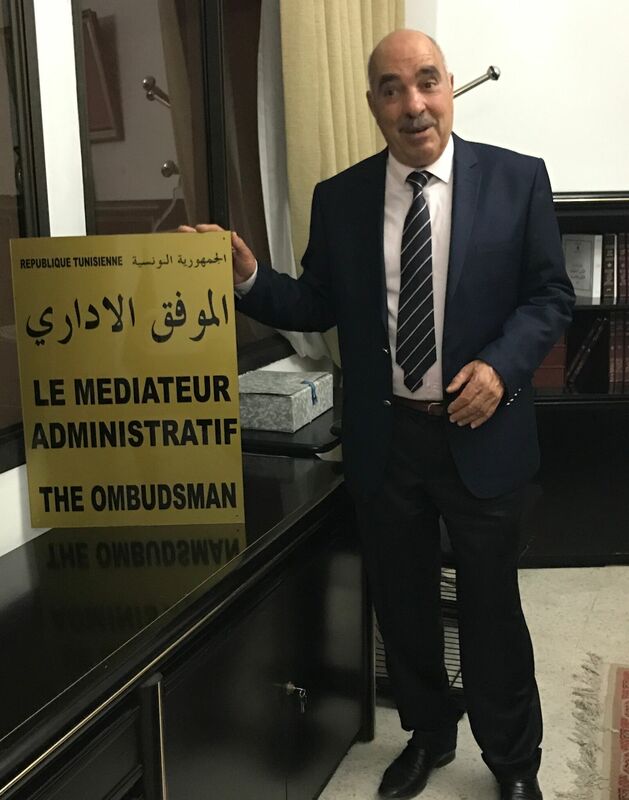 ILAC congratulates the Ombudsman of Tunisia, Mr Abdessattar Ben Moussa, for his outstanding contributions towards democracy. Mr Ben Moussa and ILAC representatives met this month in Tunis, where they reaffirmed their common goal in strengthening rule of law and public trust in the institutions of that country. 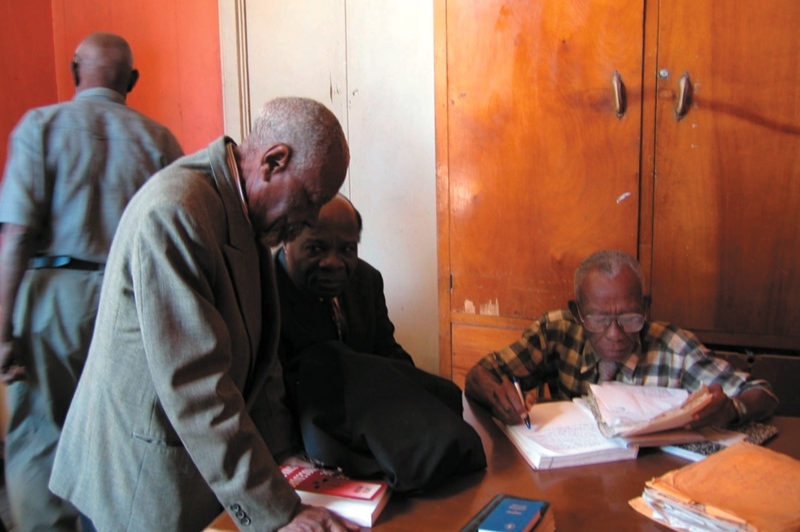 The ombudsman is an independent institution created in 1992 that aims to protect the rights of citizens as well as to transform the negative image public administration has amongst citizens. Béji Caïd Essebsi nominated Mr Ben Moussa Administrative Mediator last January. The administrative ombudsman is responsible for considering individual complaints against public institutions and communicating the recommendations to the administrative establishment in order to resolve the dispute. ILAC congratulates Christian Åhlund, ILAC’s founding Executive Director, for having been honoured with the H.M. The King´s Medal by the King Carl XVI Gustaf of Sweden a prize that recognizes his outstanding efforts in human rights and international humanitarian law. Mr. Åhlund received the 8th size with the ribbon of the Order of the Seraphim in a ceremony held in the Royal castle in Stockholm at the begging of this month. The two-hundred-year-old tradition is bestowed in several sizes and awards Swedish and foreign citizens for their special virtues and services. We are delighted to announce that the Japan Federation of Bar Associations will host ILAC’s 2017 Annual General Meeting in Tokyo, Japan this May 11 -13, 2017. ILAC is delighted to welcome Patrick Hartwig to our Finance & Admin department! Patrick has extensive development and administrative experience studying and working abroad throughout Asia and in Brazil. Most recently he worked for IPSOS in Vietnam on market research projects. ILAC co-organized a conference on the perspectives on freedom of expression in Sweden and Tunisia after the Revolution at the Faculty of Juridical, Political and Social Sciences of Tunis last week. The event was part of the celebration of the 250th anniversary of the Swedish Press Act, the world´s first legislation on freedom of expression and information. The Ambassador of Sweden in Tunisia, the State Secretary to the Minister for Justice and Migration of Sweden, the Tunisian Minister of Higher Education and Scientific Research and local renowned law academics attended the conference. Mary Robinson, a former President of Ireland and United Nations High Commissioner for Human Rights, received the 2016 Stockholm Human Rights Award recognizing her outstanding contribution to the rule of law and human rights. The Stockholm Human Rights Award is given annually by ILAC, the Swedish Bar Association and International Bar Association in recognition of those advancing international justice and strengthening respect for human rights. ILAC applauds the reopening of the Swedish diplomatic mission in Tunis, Tunisia after it had been closed for over fourteen years.